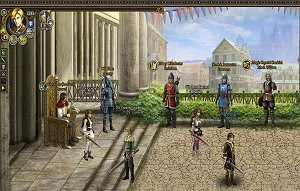 Golden Age is a free browser-based strategy MMO game set in the exciting medieval times with castles, massive armies and fantastic battles. The player has to struggle for supremacy and develop his territory, building over 20 types of structures and conquering the enemy land. Interact with other players in Sanctum City in the same way you would in a side-scrolling MMORPG.